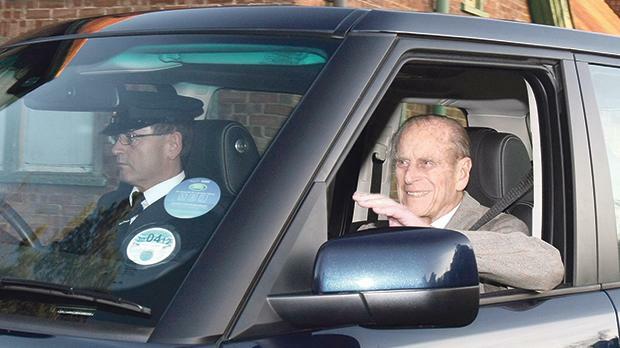 I read the report titled ‘Prince Philip, 97, gives up licence after car crash’ (February 9). I think it was wise for the Duke of Edinburgh to voluntarily give up his automobile driving licence in the wake of his recent serious roll-over accident and his callous failure to apologise to the victim. I am just relieved the victim was not seriously hurt or killed. The husband of Queen Elizabeth II has plenty of chauffeurs and pilots to drive him (or fly him) to anywhere he so chooses. I realise he may cherish his independence, however, at age 97 there comes a time to ‘hang up the car keys forever and let someone else do the driving’. Prince Philips has always had a reputation for being somewhat brash, brazen and even a bit arrogant. It is sort of a shame that it took an accident to restore a tiny spark of humility and remorse in his soul. I wish him a long and happy life and may he wave to his ‘subjects’ from the comfort (and safety) of the ‘passenger seat’. Other elderly people may be perfectly good drivers. However, old age and loss of reflexes should make other elderly people find the courage within themselves to determine when that same time comes for them to cease actively driving themselves for the safety of the public at large.